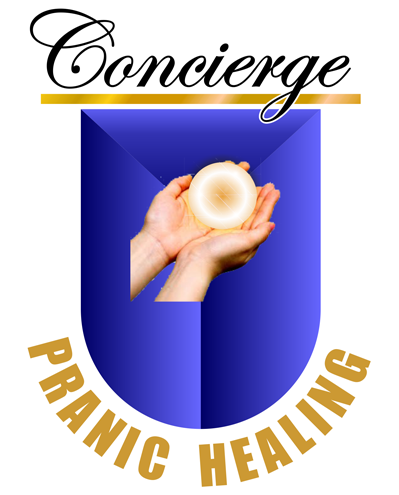 I offer a Concierge Pranic Healing Program designed as a way for you to receive Pranic Healing on a regular basis. It’s a most desirable method for any special short or long-term needs. It’s affordable and designed just for you! I am a gifted Advanced Pranic Healer with over 10 years experience, so call today! It’s a very effective healing modality and can be done in person or via long distance. Reference are available. For more information on Pranic Healing visit www.pranichealing.com. Please continue to read for more information. Pranic Healing is tailored for you. Whether it is just a monthly “cord cutting, cleansing and energizing” (general wellness) or for a specific reason which requires more than a few sessions, I will be happy to help design your personalized program. I have many clients on the program. Examples of programs: monthly wellness; pre and post-surgery and recovery; long term health issues such as cancer or depression; emergency hospitalization; chronic medical conditions; short and long term emotional issues; etc. It is a wonderful investment in your mental, emotional, and physical well-being. Also, consider gifting a concierge program to a loved one or dear friend. Long or short-term, concierge PH will fit your needs. Many of my PH clients, which includes nurses and staff at a regional hospital, are on a monthly concierge schedule. They find that this is an easy way for them to receive monthly general wellness Advanced PH without having to “remember” to call me. Fee structure is based on your individual needs. Concierge Pranic Psychotherapy is a highly specialized program. Please call for pricing information. You may cancel your program at any time. Full months will be refunded. The balance of any cancelled month is non-refundable. You will agree that it is a very generous program. I am a very experienced Advanced Pranic, Crystal Pranic and Pranic Psychotherapy Healer with over 10 years of healing service and practice. I am a student of Master Co, Senior Representative in the U.S as well as Kim Fantini, Midwest Pranic Healing. I administer to my family including my mother. My mother is my greatest benefactor, having been the recipient many times of Advanced Pranic Healing. In fact, my brother, sister, and sister’s husband have become Advanced Pranic Healers. It is that powerful and effective. I am able to provide concierge service on your schedule or on a suggested schedule. Once you agree on a schedule and fee, I will send you your personalized program, a business contract along with the PH disclaimer. So call today! Set up your concierge PH program! You know you need it! Monthly “wellness” programs do not include any special requests if something were to arise. However, I understand that health situations change and requests are welcomed and priced accordingly. Prices are most reasonable! Please understand that you may not “transfer” your session to someone else, even if it is “just for one session”. The service begins on the day that payment is received and subsequent monthly payments are due on or before the same date. Prepayment for multiple months is accepted. Cancelled service: partial monthly service is non-refundable and full months that are not used will be refunded via the same payment method less any transaction fees charged by the bank or payment service. Disclaimer: Pranic Healing is not a substitute for Western medicine, treatments, and/or medications. It does not claim to “heal” you. Your results are individual and unique. Call today at (618) 696-6411 or complete the Contact Form to schedule your healing session. We understand the events occur that may prevent you from keeping your scheduled appointment, however, management reserves the right to charge for the session in the event of a no show. It was Christmas Day and I was in excruciating pain and the thought of making Christmas Dinner was unimaginable. I had been suffering from the pain in my stomach for several weeks. Doctor’s had prescribed medication for what they thought the ailment was but the condition persisted. I knew that there were alternative solutions than the typical “Western medicine”, of “just take a few pills and you will be fine” attitude. Doubled over I called on a long-time friend Karen Thrun Heyden. She thought I was calling to wish her “Merry Christmas” not ask for help. With quieting of the body and Karen’s skilled Pranic Healing skills, the pain dissipated. I had energy and could go back to the Christmas festivities with my family. I am a prominent actress and it was the opening night for all of the reviewers and theatrical reporters for the play “Belleville”, in which I had the lead. My throat was swollen and soar and my voice was fading. I was already armed with throat spray, lozenges, special teas and antibiotics but my throat and voice continued to disintegrate. Soon, it was half an hour from show time and I had no voice. Panicked I asked for help from a well-known Pranic healer, Thrunice, as she was known in our circle. With her healing powers, I got back my voice, my throat no longer was painful and it was the best production ever. Thank you Thrunice. Call her for healing help.